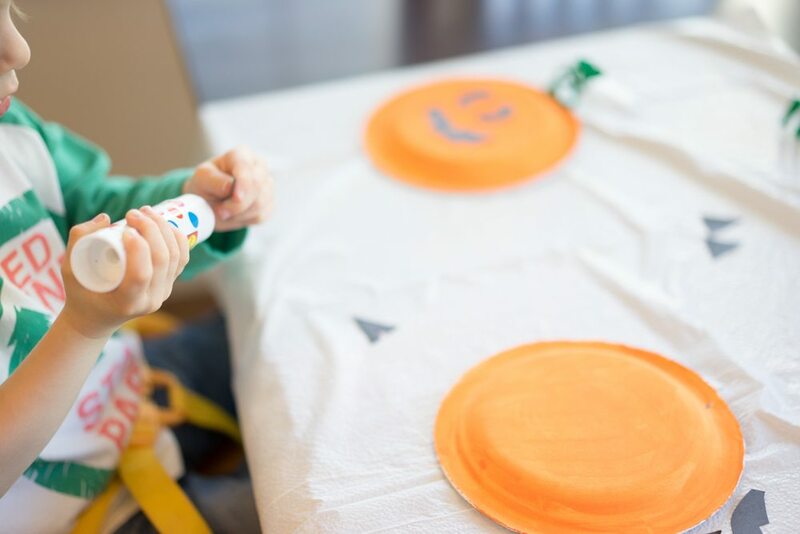 To continue on the pumpkin theme for Fall and Halloween, below is another pumpkin craft you can do with your little ones! My toddler really liked how he could pick out which eyes, nose and mouth would make his own pumpkin! He also liked to pick out which ones would be mommy’s pumpkin. 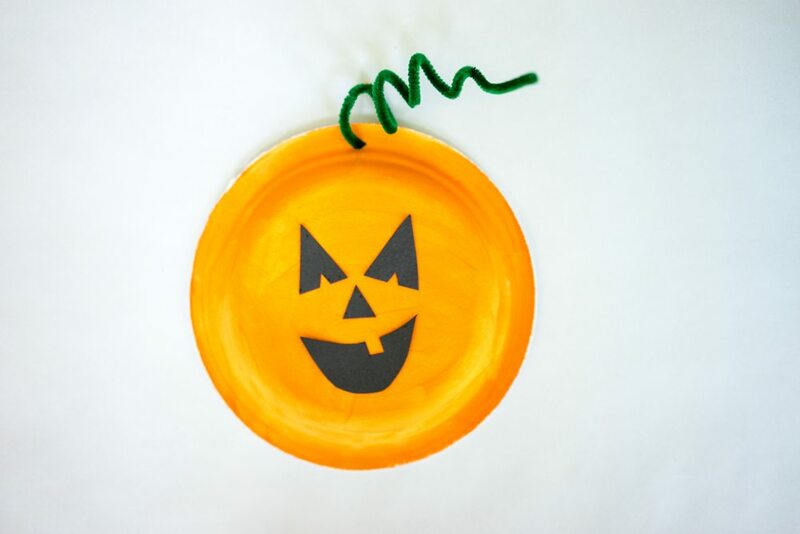 OK, so this is really simple but here’s what we did to make the Build Your Own Pumpkin Paper Plate craft. I started by tracing out some eyes, nose, and mouth on black construction paper. 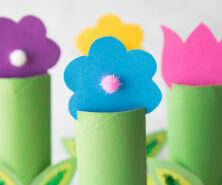 Then simply cut them out and arrange them together for selection. Next, you have to paint small paper plates orange. 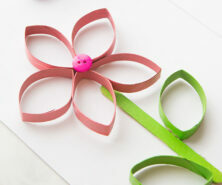 Finally you need some green pipe cleaners for the stem. 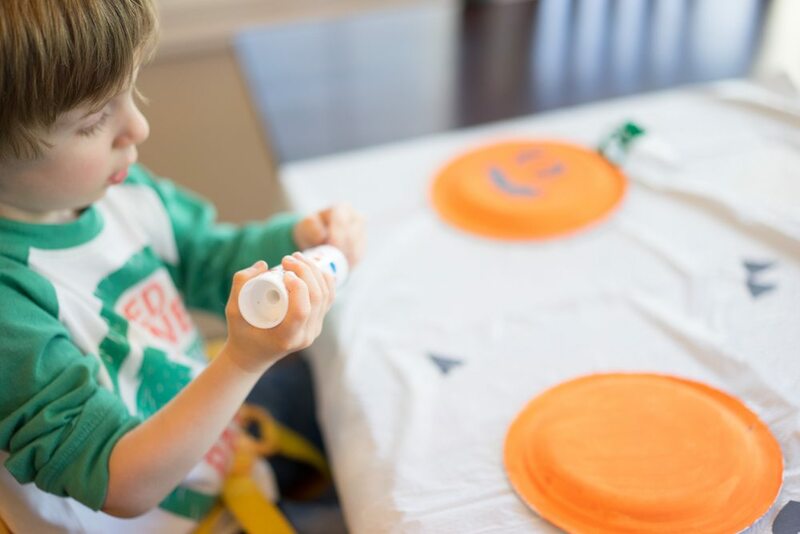 Simply arrange all of the options and then let your child choose which ones to complete their Build Your Own pumpkin paper plate craft. Finally, glue all your face features on. 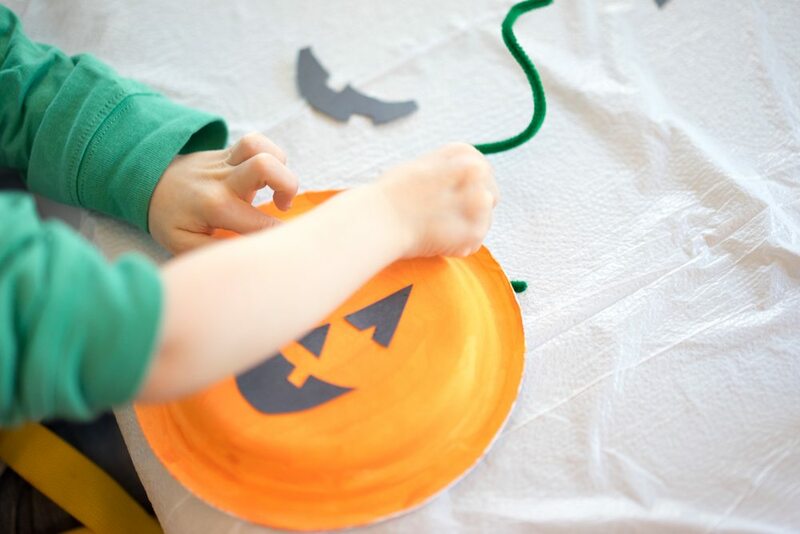 The final touch is to punch a hole in the top of the pumpkin and then tie a knot around the end to secure it so it won’t fall out. 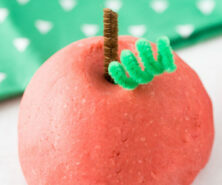 To get the curly effect, just wrap the pipe cleaner around your finger. 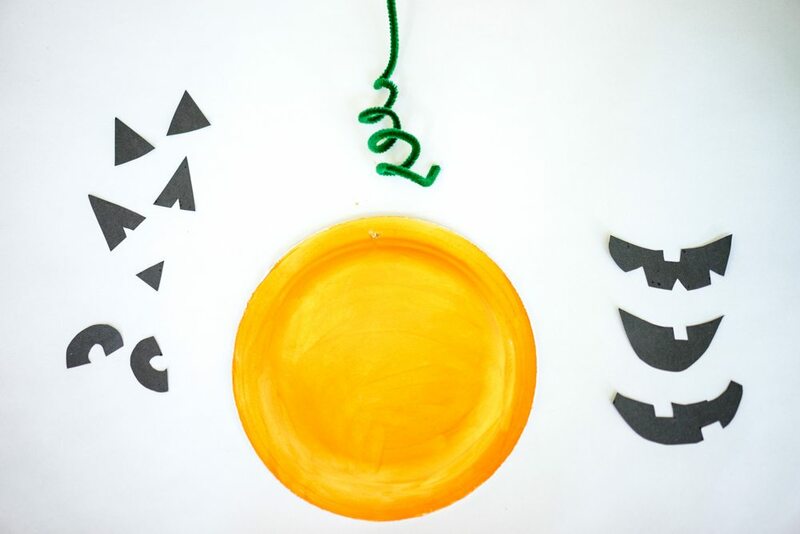 That’s it – this is an easy craft you can pull together quickly and your toddler will love playing with the pumpkin afterwards!